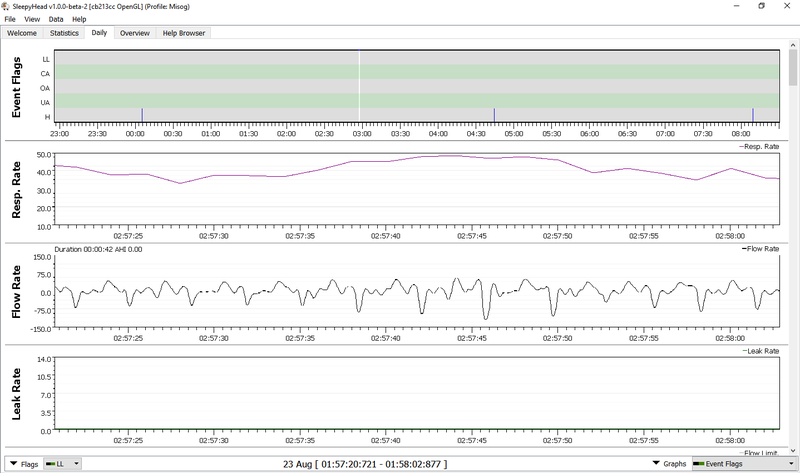 If you zoom in, I bet you'll find that those high RRs are just sleepyhead miscounting breaths, like I said above. What's your flow limitations look like on the simplus? Im not sure if the zero worked but no flow limitations!!!! Also the pressure had gone up to 16 which I have it capped to . It would no doubt have gone higher if I had increased the max. There's no zero line... If it had, there'd be a red line right at zero, so it's easy to tell where the flow went above and below zero. I used the Amara View for the whole night . The Resp. Rate is much lower and where there has been a pressure increase the reason for it is clear. I have discovered that when using conventional full face masks the strange waveforms and high resp. rate occur when im sleeping on my side. 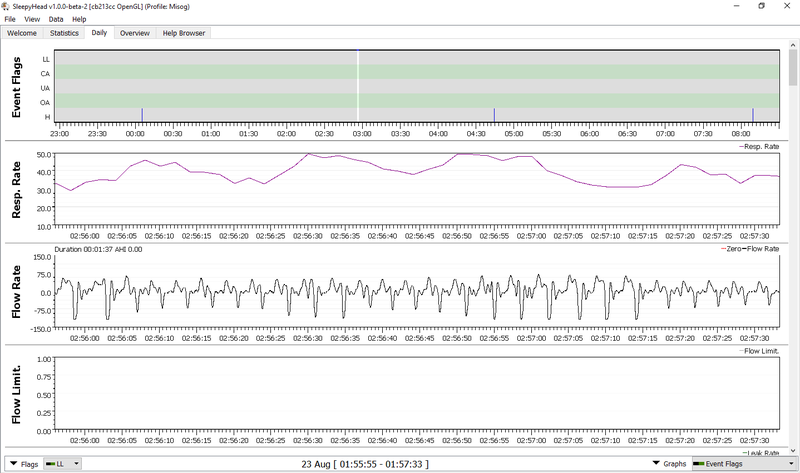 When Im sleeping on my back the waveforms are normal and the resp .rate is greatly reduced. 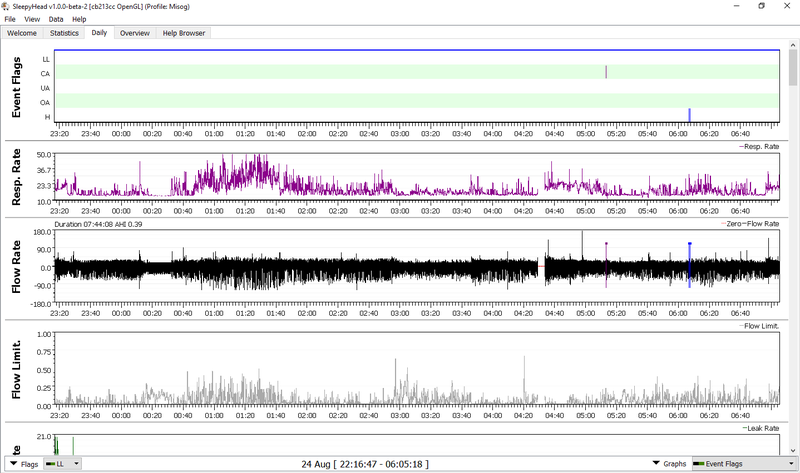 Using the Amara View and the Dreamwear the waveforms and resp. rate is normal during the night. The trouble is that both the Amara View and the Dreamwear full face masks are too painful to use. The divider between the mouth and nasal opening digs in to my right nostril. Ouch! !